Becoming corporate club leaders – running a Corporate Toastmasters Club is a fantastic experience. It gives you opportunites for developing your own skills. In addition you are delivering value to your organisation by developing its current and future leaders. How can you sell the idea of a corporate club? Seeking to explain the value of your Toastmasters Club to your colleagues? Check out the features, benefits and value chart and Toastmasters’ corporate marketing presentation. Looking for ideas on how to run a successful Corporate Club? Look up top 10 tips for corporate clubs shared at District 91’s first ever Corporate Club Officer training session in 2014. 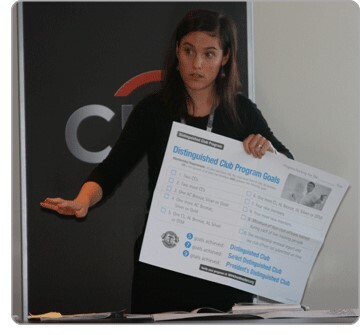 There is also a fantastic resource, the 6 Steps to Successful Corporate Clubs.